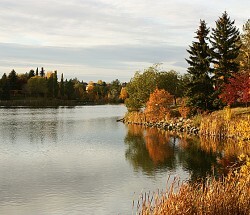 Griesbach is a developing neighbourhood located in the established north end of Edmonton. The neighbourhood is bounded by 153rd Avenue to the north, 97th Street to the east, 137th Street to the south, and Castle Downs Road to the west. The neighbourhood is located on the site of a former Canadian national defense facility, which was originally developed in the 1950s. Over the last 50 years, the Canadian Forces Base (CFB) in Griesbach has housed many military personnel, whether singles in barracks or families in the married quarters. Children went to school there, customers bought gas at the Canex, and people played hockey and worked out at the gym. 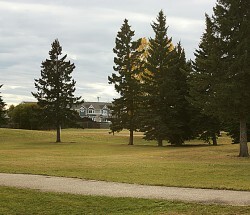 With the decision in the mid-1990s to consolidate several army bases at Lancaster Park (at Namao, north of Edmonton), activities at Griesbach started to wind down. By the end of 2000, many facilities had been relocated to Namao. 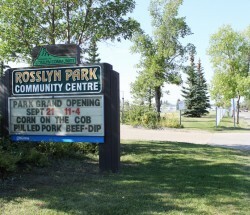 The neighbourhood began redeveloping as a non-military residential community in the early 2000s, and development was still actively under way as of 2010. The large, strategically located site with good existing infrastructure connections provided an excellent opportunity to undertake a large-scale redevelopment project once the military base was closed. 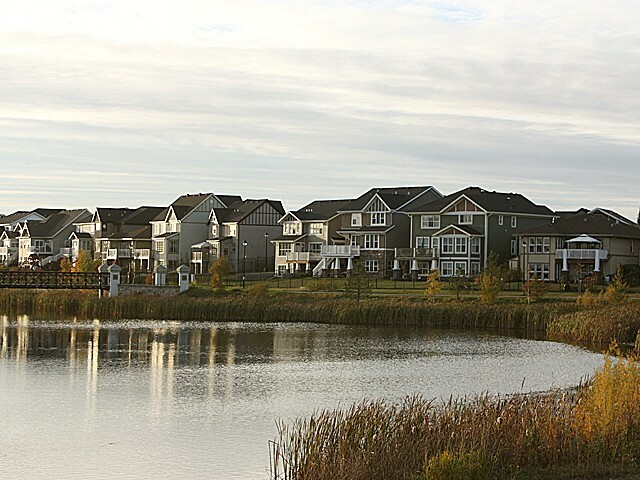 Griesbach is surrounded on all sides by residential neighbourhoods, and the neighbourhood is connected with major arterial roads. The focus for neighbourhood redevelopment was to create a well-planned community that integrated existing tree stands and vegetation, provided for a range of housing types, established a high-quality public area, and ensured a unique urban experience through the development of a town square, parks, and community amenities. The internal roadway network focuses on a large central community park. The surrounding residential area is primarily single-detached housing, with ground-oriented multiple-unit housing and apartments in locations with good access to major roads and amenities. One school site and a recreation centre have been incorporated into the plan, as well as a waterway with a parallel walkway system. 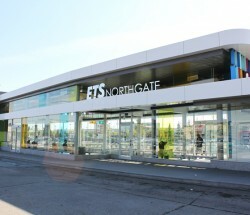 A commercial village centre has been located at the key transportation node at the southeast corner. A potential mixed-use business campus has also been designated in the southwest corner. 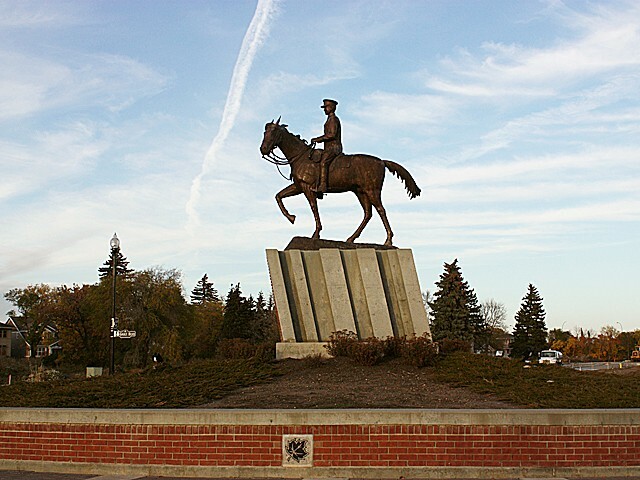 Griesbach takes its name from Major-General William Antrobus Griesbach (1878-1945), who was a veteran of the Boer War and World War I, a practicing lawyer, and Edmonton’s youngest mayor in 1907. Griesbach also served as an MP from 1917 to 1921 and was named to the Canadian Senate in 1921, where he was commissioned as a major general in recognition of his war service.